Zoya Andropova, a young Russian refugee, finds herself in an elite New Jersey boarding school. Having lost her family, her home and her sense of purpose, Zoya struggles to belong, a task made more difficult by her new country’s paranoia about Soviet spies. When she meets charismatic fellow Russian émigré Leo Orlov – whose books Zoya has obsessed over for years – everything seems to change. But she soon discovers that Leo is bound by the sinister orchestrations of his brilliant wife, Vera, and that their relationship is far more complex than Zoya could ever have imagined. 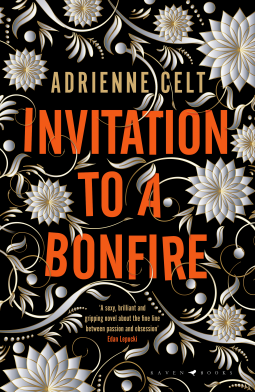 Invitation to a Bonfire was a gripping read from start to finish, with an exciting plot and fascinating characters. Zoya's story drew me from page one, and I became deeply invested in what would happen to her. In the second half of the book, the story took a turn I hadn't expected, but which kept me on the edge of my metaphorical seat until the very end, eager to see how things would work out. Celt's sensuous prose is a world in and of itself, and I loved the way she teased a path through Zoya's thoughts and feelings. All up, this was a 4.5 star read for me. I would definitely like to read more from this author in the future.